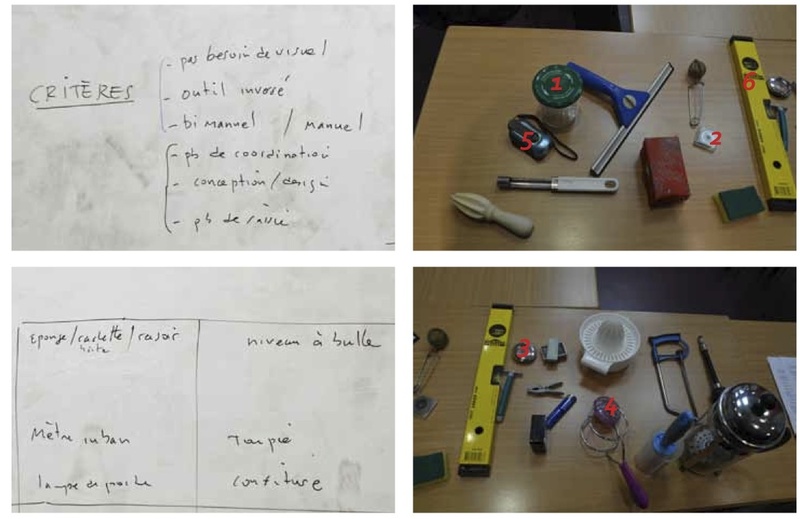 We held a two-day workshop at IRCAM, May 30th and June 1st 2012, to brainstorm on possible sonification of every-day objects. Every participants brought two objects, that were analyzed and discussed. On the second workshop day, experiments using sensors and real-time synthesis were carried-on on a selection of objects. Houix, O., Gutierrez, F., Susini, P., & Misdariis, N. (2013). Participatory Workshops: Everyday Objects and Sound Metaphors. In Proc. of the 10th International Symposium on Computer Music Multidisciplinary Research (p. 41‑53). Marseille, France: PUBLICATIONS OF L.M.A. This entry was posted in sonic interaction design and tagged design, every-day objects, sonification on June 13, 2012 by admin.